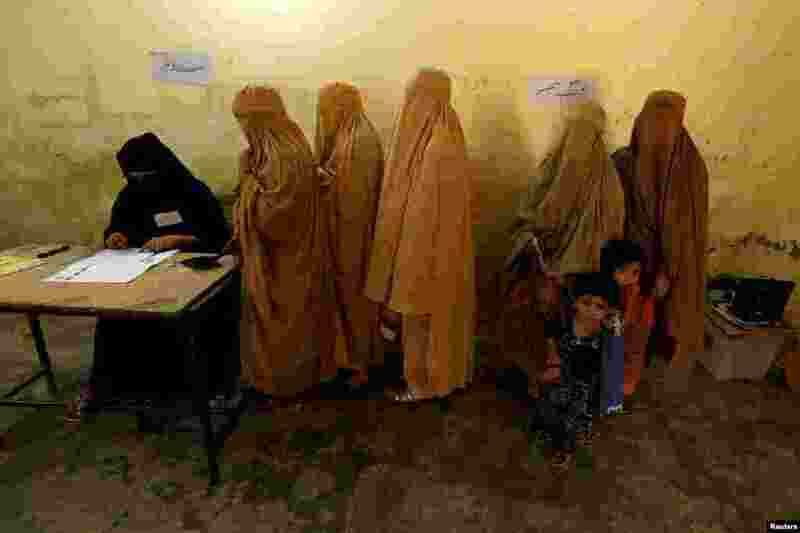 ١ Women, clad in burqas, stand in line to cast their ballot at a polling station during general election in Peshawar, Pakistan. 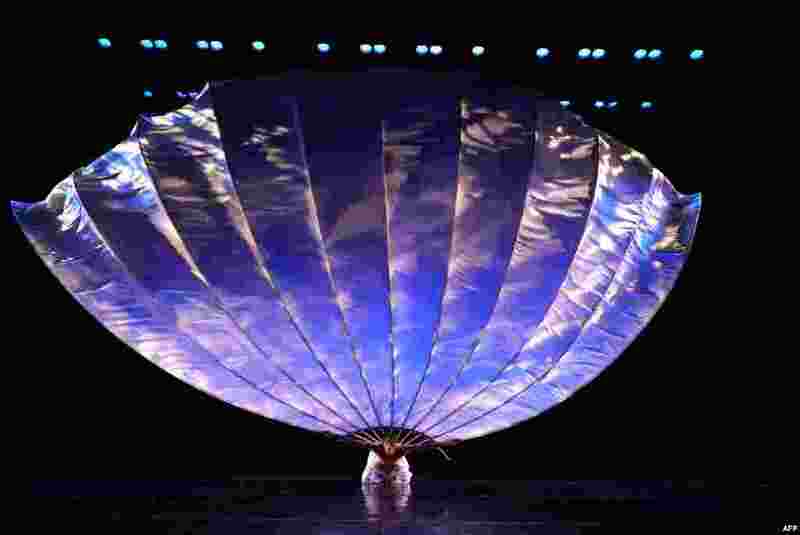 ٢ Dancer Jonathan Eden from MOMIX performs a scene from Botanica's 'Man Fan' during a dress rehearsal before opening night at the Joyce Theater in New York. 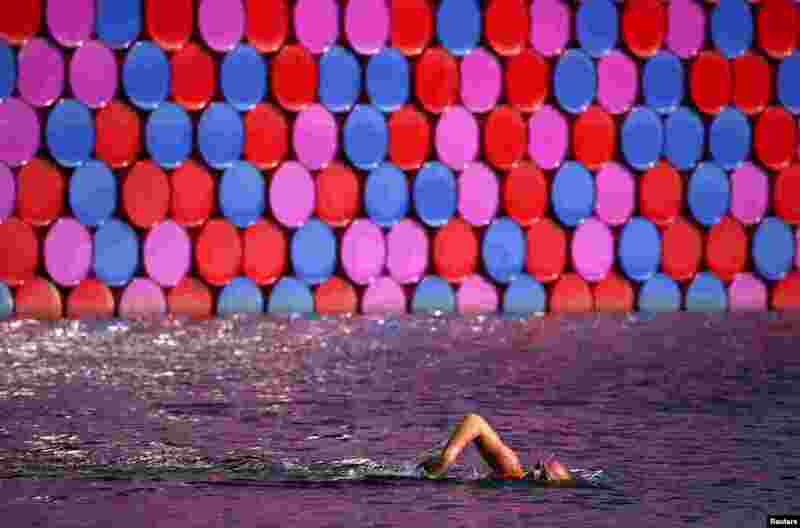 ٣ A man swims past Christo's floating sculpture "The London Mastaba" on the Serpentine in London, Britain. 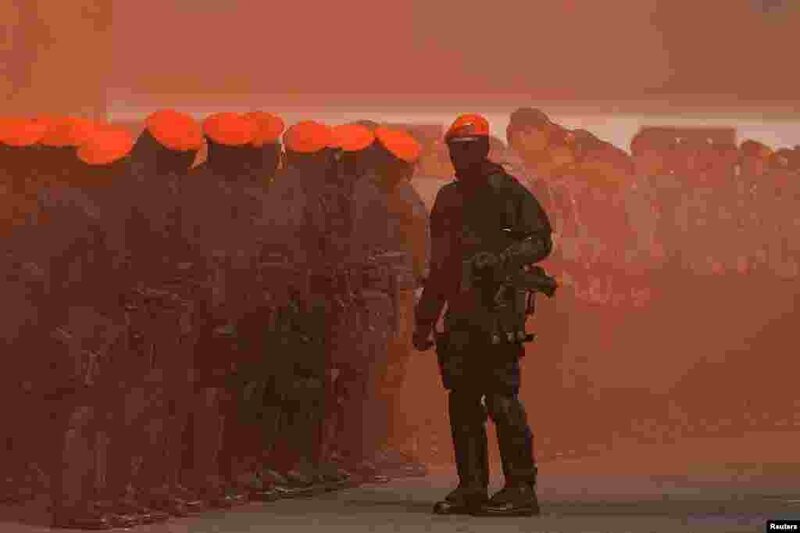 ٤ Police and military special forces are seen during an anti-terror drill ahead of the upcoming Asian Games in Jakarta, Indonesia.